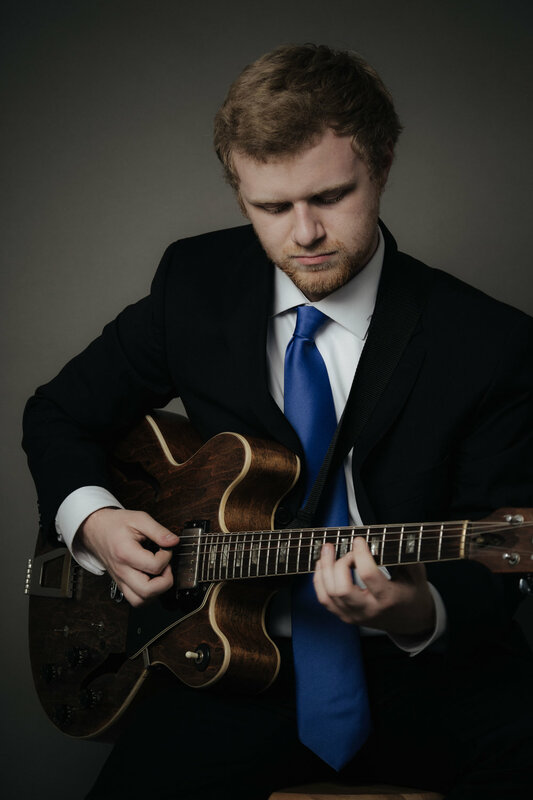 Originally from Seattle, guitarist Kyle Scherrer moved down to Los Angeles in 2013 to attend USC’s Thornton School of Music. Having played guitar since the age of 12, he knew from the moment he picked up his first guitar that music was his passion. After studying blues and rock early on, he discovered jazz upon entering high school, and has been guided by his fascination with improvisation ever since. Now working towards his Master's Degree at USC, Kyle has been focusing on writing his own compositions and arrangements, while always working on developing his own playing abilities.